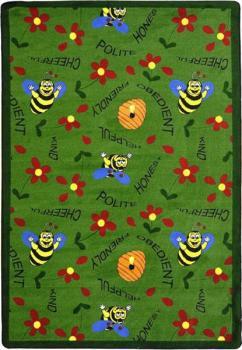 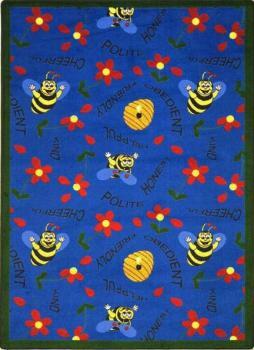 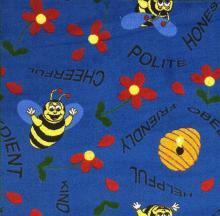 Size 3'10" x 5'4"5'4" x 7'8"7'8" x 10'9"10'9" x 13'2"
Keep your children busy as bees with the Bee Attitude rugs! Bring Mr. Bee into your classroom to teach your students the virtues of friendliness, kindness, honesty, obedience, and politeness. 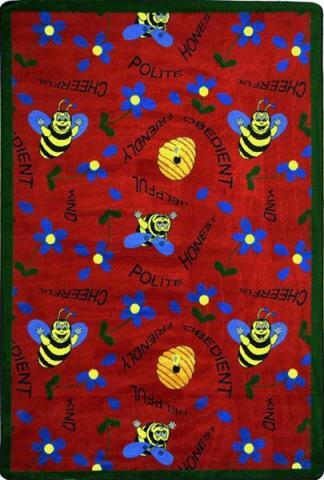 The colorful be appears next to these important word, so young children can learn about these attributes and sound out each word as part of their learning experiences. Teachers recommend the ABC rugs for reinforcing good behavior and promoting positive attitudes. Mr. Bee buzzes around a sturdy rug that protects your students from mold and mildew. 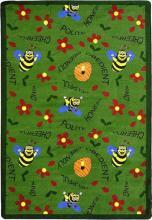 Each of the three backing provides comfort, as well as protection from hard floors that become too hot or too cold. 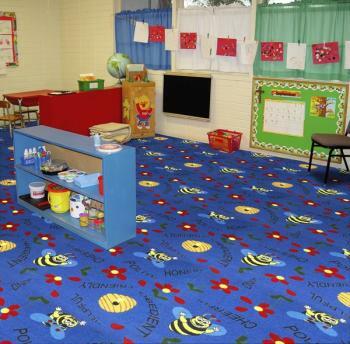 The ABC rugs work especially well on hardwood and linoleum floors. Each of the three backing have outstanding fade resistance, meaning that the brilliantly colored Mr. Bee will be buzzing around your classroom for quite some time. Choose from three colors to match your classroom decor.